The argument could be made that, of all the gods in all the known pantheons, Thor was the coolest. I mean, really, how many other gods had their own comic book? 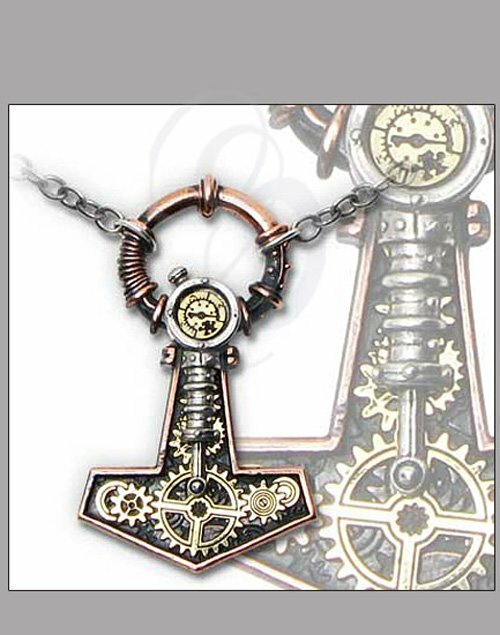 This amulet is a perfect blend of Thor Hammer meets Jules Verne or Steampunk. I've tried many times to figure out what makes this pendant look so good. It has something to do with the way the gears look like they are actually turning. 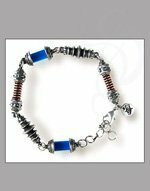 Perhaps its the the flaring hammer shape beneath the gears on top. Who can say? I do know that whoever designed this piece did an astonishing job of making a war amulet look as beautiful as it is powerful. 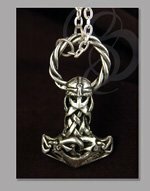 Comes with a silver chain and an autographed chip from Mjolnir, Thor's Hammer (okay, there's no chip from Thor's hammer included, but we're in talks with his agent to try to set something up. Gods can be soooo temperamental).